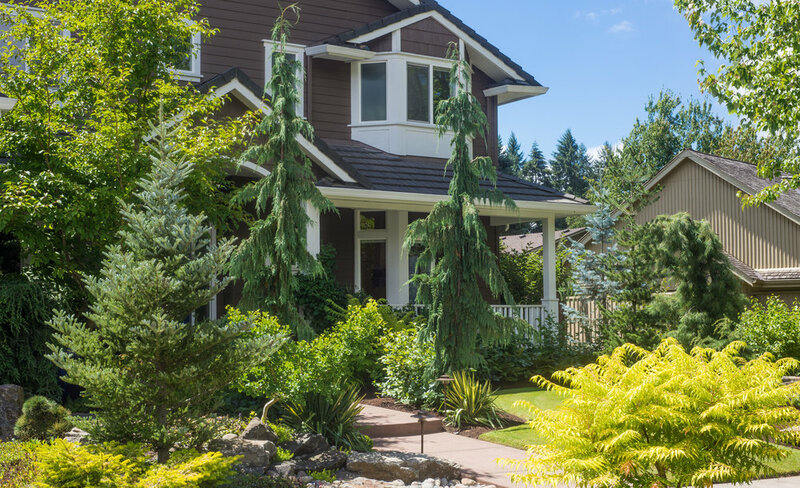 This intimate garden in a city setting has the coziness of a small backyard, however, the scale of the house seemed to overpower the sunken garden spaces that were created by the two-story home on a narrow lot. 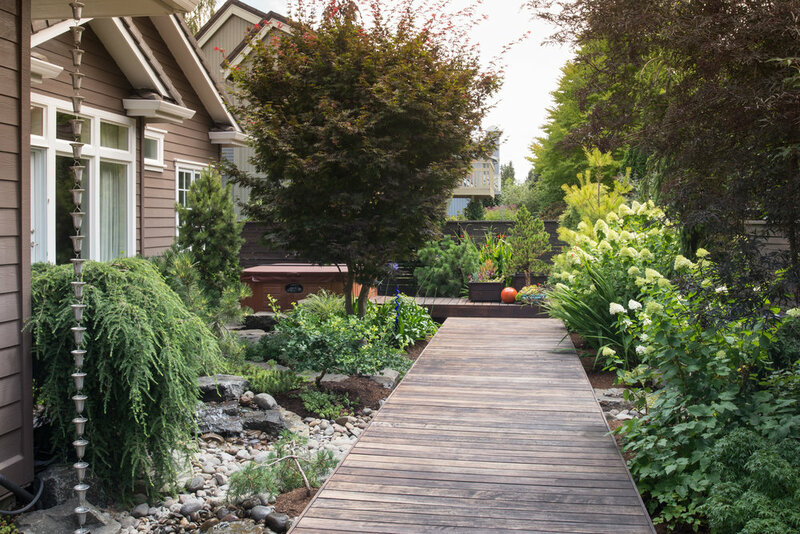 A custom landscape design was necessary to achieve all the client’s goals creating a cohesive landscape plan that also captures their personal style. Building an inviting entertaining space with a gas fire feature, incorporating a hot tub, and achieving a balance of materiality were all necessary. Simple forms constructed of ipe transgress the backyard while an oversized bench appears to float effortlessly in the background. 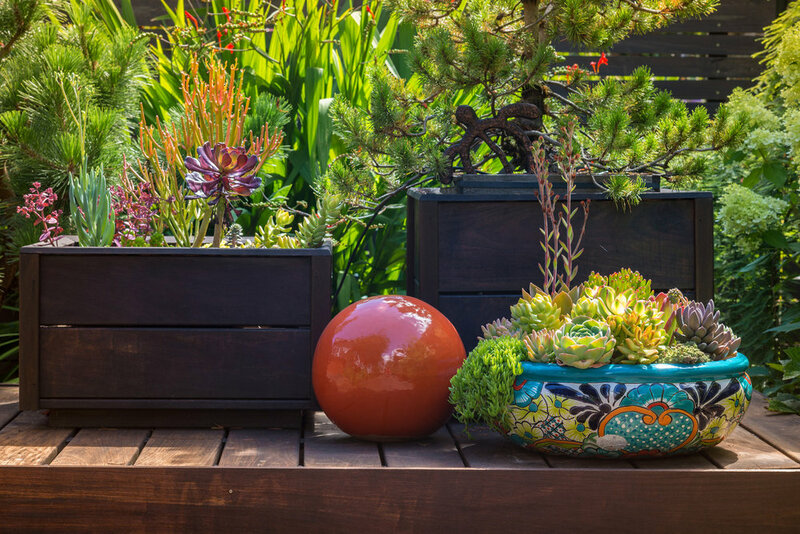 A plant palette that is northwest in style was used, incorporating evergreens, woody ornamentals, and perennials. 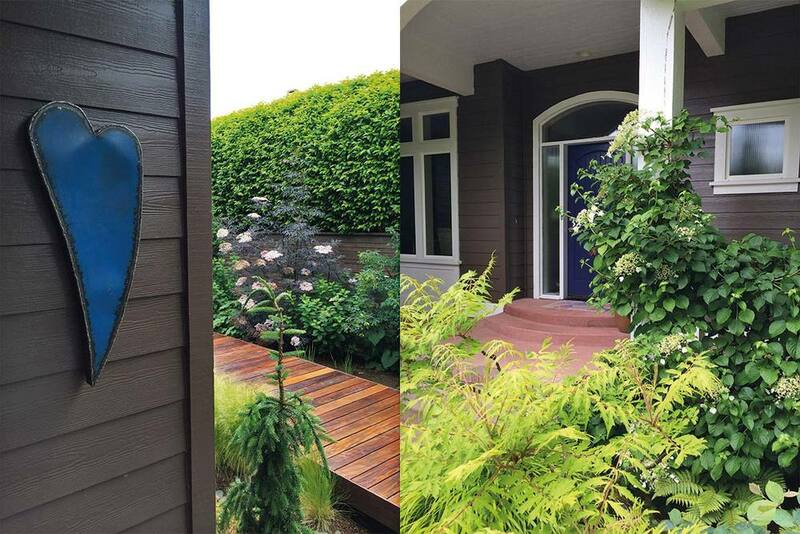 A second phase of this project allowed the plantings and color themes to be continued into the front yard. Additionally, a custom linear fence with hickory stain was added to complete the contemporary look around the property.